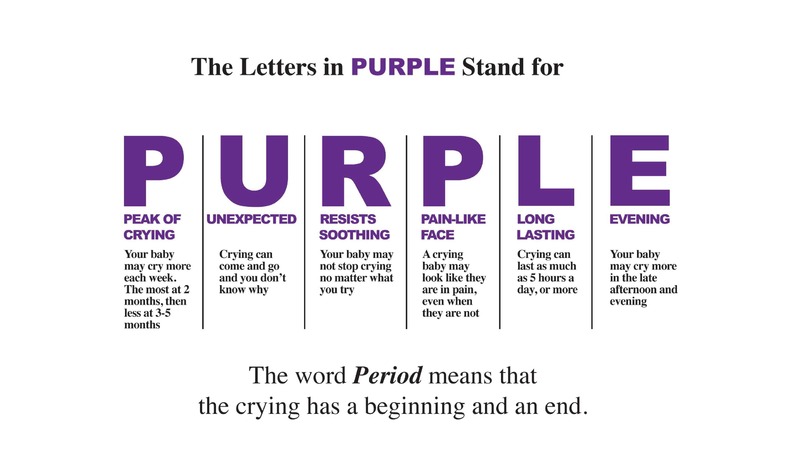 Healthy Mothers, Healthy Babies is proud to coordinate Montana’s Period of Purple Crying ® Program, a new way to understand your baby’s crying. Read the full article by author Ronald G. Barr, MDCM, FRCP (C) here. Safe and loving caregivers are the most important things to your baby. Caring for a crying baby is very hard, so be sure to take good care of yourself. Picking up a crying baby will not spoil them. Crying is natural, but if you are concerned about your baby’s health, please call your healthcare provider.